Atnre (ah-tin-ray) is the founding Executive Director of DelawareCAN. In this role, he works to improve the quality of education in the state through the enactment of student-centered policies. Atnre was born in Philadelphia and raised in South Jersey. Going into the ninth grade, his mother exercised what he calls “school choice on steroids,” and shipped him to a local boarding school in Ghana that has prepared some of the continent’s most prominent leaders. In addition to the cultural shock, Atnre soon experienced the realities of global competition. He was behind his peers in math and science in spite of finishing middle school at the top of his class. After graduation, he returned to New Jersey and completed a bachelor’s degree in economics and a master’s degree in public administration at Rutgers University-Camden. Atnre’s passion for education and community development was shaped by his experiences living and working in Camden, NJ. He served as the vice president of the board for a community bank, analyzed crime data to help the Camden Police Department with crime suppression efforts and developed performance management systems for a local charter school. Seeing the importance of education to community development, in 2009 Atnre and his wife founded an organization —TeenSHARP— that prepares talented students of color in the Philadelphia region for top colleges. TeenSHARP serves students in NJ, Pennsylvania, and Delaware and has placed nearly all of its alumni in highly selective colleges. He was named an American Graduate Champion by WHYY in 2016 for his work with TeenSHARP. Atnre later leveraged his background in research — working in the private sector at The Gallup Organization and human resources consulting firm Hay Group — and passion for education when he was selected as a fellow with the Harvard Strategic Data Project. 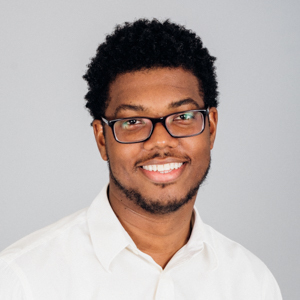 As a Strategic Data Project fellow he was placed at the Delaware Department of Education (DDOE) where he led policy and research efforts pertaining to teacher effectiveness and college access. Atnre lives in Wilmington with his wife Tatiana and daughter Zoryana. He blogs at www.fiercelyurgent.com and plays the bass guitar in his church’s band during his spare time.